Items must be pieced or quilted by the individual entering the quilt. (Except for item #29 and #36 must belong to the individual/group entering the quilt.) Entries must have three layers to qualify as a quilt and must include the pattern name or description. Quilts must have a separate binding and pressed. Soiled items will not be accepted. No loose threads. Special Quilt Awards: In addition to the Reserve Awards, the Johnson County Quilters’ Guild will present three additional awards. These will be two Viewers’ Choice Awards (one youth and one adult) to be recognized with a ribbon, and one Quilters Guild Choice Award to be recognized with a ribbon and $25. The Viewers’ Choice Awards will be chosen by popular vote on any finished quilt item. 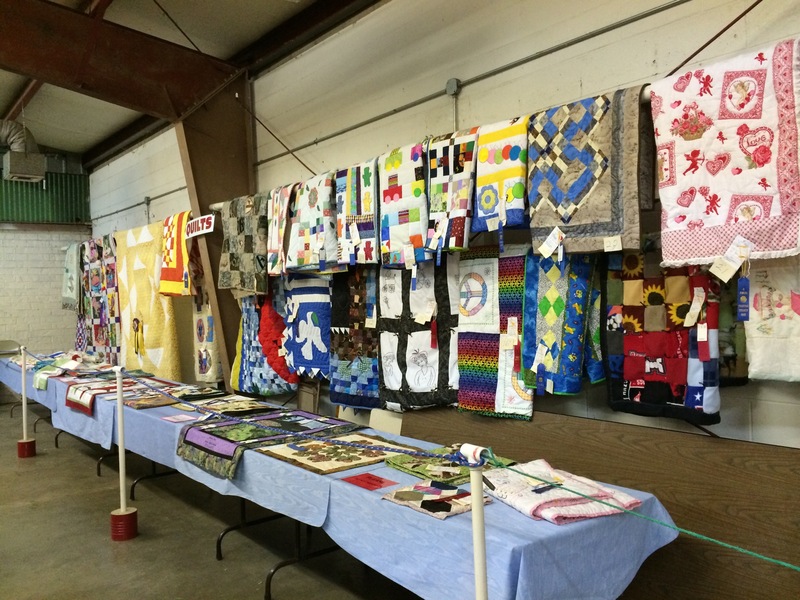 The Quilters’ Guild Choice Award will be chosen by a panel of members from the Johnson County Quilters’ Guild and will be based on excellence of craft of any finished quilt item.